Sharonica Hardin-Bartley | HOPE Global Forums | Presented by Operation HOPE, Inc.
Dr. Sharonica Hardin is the superintendent for the School District of University City, a role she began on July 1, 2016. As superintendent, Dr. Hardin-Bartley is charged with serving 2900 students and over 400 teachers and staff. She brings a hands-on approach to the superintendency and believes that one of primary responsibilities to help teachers and students bring to life their passions for education and learning. Previously, Sharonica served as the Assistant Superintendent for Human Resources and Leadership Development for the Ritenour School District in St. Louis, Mo. In this role, she managed all human resources functions, including staff selection and recruitment, employee relations, benefits administration and performance management. Through her work in leadership development, she supported the development of Ritenour School District leaders – including the district’s assistant principals, principals and administrators. 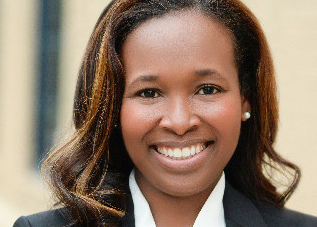 Sharonica joined Ritenour in 2012 from the St. Louis Public School District (SLPS), where she served as Chief Human Resources Officer from 2007-2012. Sharonica has 20 years of educational experience as a teacher and administrator. After beginning her career as a classroom teacher in the St. Louis Public Schools (1997-2001), Sharonica was named the first principal at Adams Elementary School (SLPS) from 2001-2005. From 2005-2006, she served as Vice President for Education for the Saint Louis Science Center. In Jan. 2007, Sharonica was hired as Deputy Chief Human Resources Officer for the St. Louis Public Schools. Sharonica earned an undergraduate degree in elementary education from Harris-Stowe State University; a master’s degree in education administration from Saint Louis University; and holds doctoral degree from the University of Missouri – St. Louis. She holds Missouri Superintendent Certification and certification in Professional in Human Resource Management (PHR) from the Society for Human Resource Management. She also participated in the Harvard University Public Education Leadership Project in 2007 and 2009. Sharonica is active in the community and has served on a number of leadership and advisory committees. She is a proud member of Delta Sigma Theta Sorority, Inc., and serves her community as a Link in the Gateway (IL) Chapter. She was an active member of the Ferguson Commission’s Child Well-Being and Education Equity Work Group, currently serves on the Board of Directors for Big Brothers Big Sisters of Easter Missouri, as well as University City Children’s Center, Communication Action Agency of St. Louis County, and is an advisory board member for Cultural Leadership. Sharonica genuinely strives to positively impact the lives of others, particularly youth. In addition to her professional roles, she is most proud to be a mom and wife. She enjoys spending time with her husband James, son Kyle, and six year old daughter, Charli.